One would be wrong, of course. As it stands now, City Hall's unfortunately named "Adaptation Action Area Working Group" is primarily limited to focusing mostly on coastal Jacksonville-- that is, the Beaches on down to the St. Johns County line -- while downtown, Riverside, Ortega, San Marco and some of the Northsideneighborhoods along the St. Johns River feeder creeks are left out. Those areas, an astute reader may recall, suffered historic flooding during Hurricane Irma's passage through Florida, which by the time it sideswiped the city was a weak Category 1 transitioning into a tropical storm. That oversight stems from the simple fact that the working group is using a coastal-hazards map that was created using incomplete assumptions -- assumptions that don't capture the scope of inland flooding possible for parts of the city along the St. Johns River. 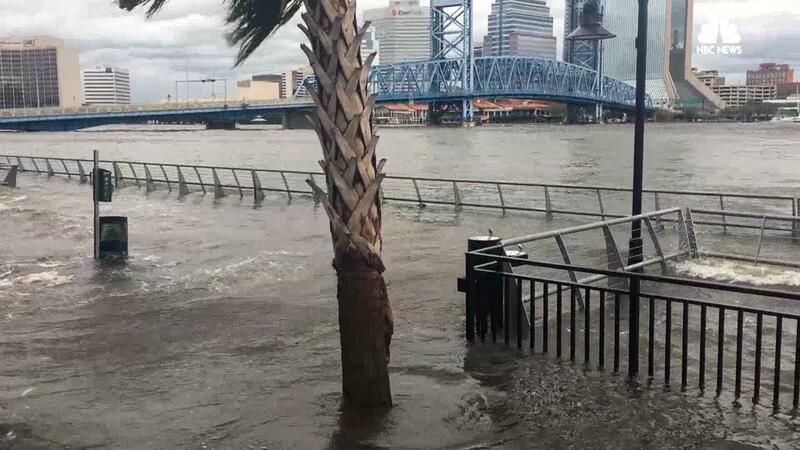 So Jacksonville's best chance at a real study of sea-level rise and storm surge hazards along its massive coastal and inland shorelines is on track at the moment to be fatally flawed. Fortunately, this group -- I won't repeat its full, jargony name again -- has a chance to make it right, and its members seem open to correcting this problem. In a presentation Monday, Erik Olsen, a working group member and a long-time coastal engineer in Jacksonville, pointed out that focusing on the city's coast and mostly ignoring well-known inland flooding hot spots would be "grossly inaccurate and highly misleading." Residents who rescue crews had to pluck from their flooding homes in Riverside and San Marco during Irma would probably be inclined to agree. The working group has been charged with evaluating the impact of 2 feet of sea-level rise by 2060. It won't do any good to limit that to the coast. The St. Johns is influenced by tides throughout much of its lower basin, which includes Jacksonville's city limits. This portion of the river has always been connected to the Atlantic Ocean, but man-made changes since the late 19th century have strengthened that connection and turned the river into something much different -- and more dangerous in storms.